April 27, 2017 – Six Flags announced that the theme park chain has agreed to operate Waterworld California. 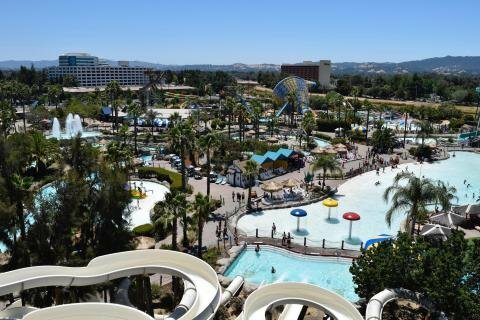 The Northern California water park, which was formerly owned and operated by Six Flags, features more than 35 water attractions, including the region’s largest wave pool. Its newest attraction, Break Point Plunge, is a 270 foot (82 m) long looping thrill ride that launches riders in a capsule from a height of more than six stories. Waterworld California is located 18 miles (29 km) southeast of Six Flags Discovery Kingdom. The agreement is subject to approval by the City of Concord. Read more about Waterworld California in our Forum Discussion. This entry was posted in News and tagged Discovery Kingdom, Six Flags, Waterworld California. Bookmark the permalink.